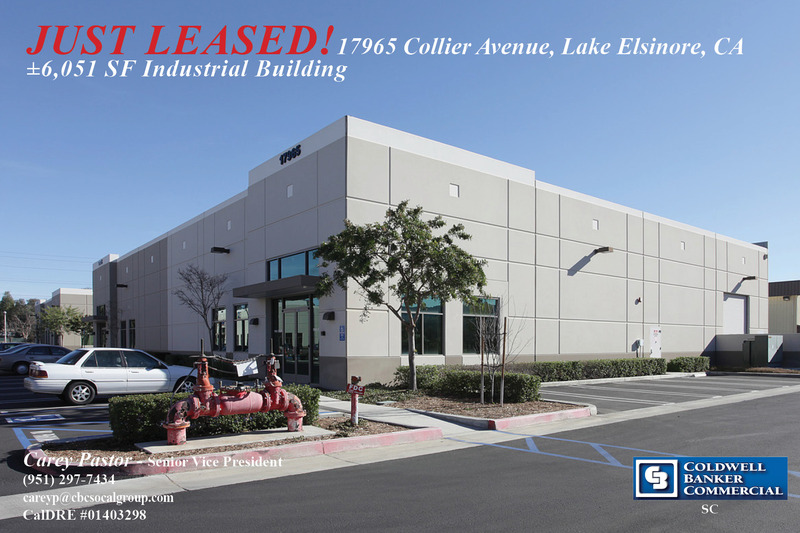 Carey Pastor of Coldwell Banker Commercial SC has Leased a ±6,051 SF Industrial building in Lake Elsinore. Carey represented the both the Lessor and the Lessee in this transaction. For more information, please contact 951-200-7683 or email careyp@cbcsocalgroup.com.